Hello! I am having a bit of a window shop online at my two lovely blog sponsors shops and thought I would share a few things that I am loving at the moment. That’s the things about January… lots of window shopping. If you’re lucky enough to be able to actually shop give these a look! First up: The “For Fox Sake” bundle from Dear Stella at Clinton Modern Creative. Photo by Clinton Modern Creative. I am especially loving that Raccoon print on the top of the pile. This Cotton + Steel pigment basics aqua is definitely on my wish list. My favorite color of all time! 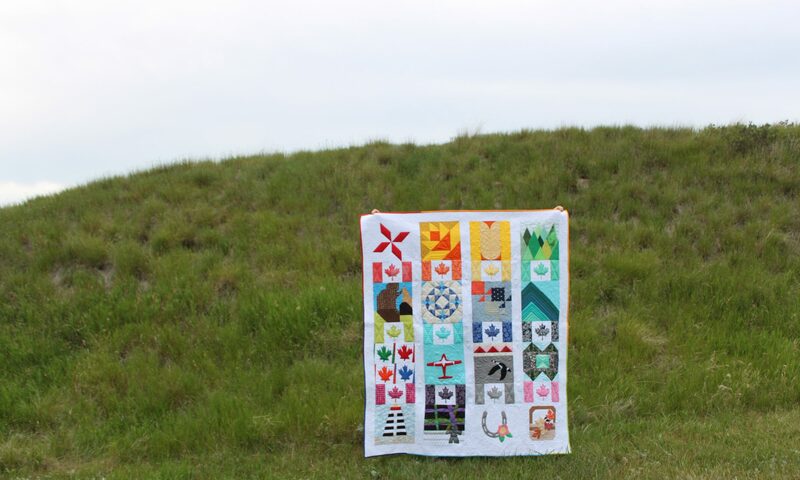 I cannot wait to get my hands on this “Purely Canadian” line by Andie Hannah. So cute! The three fabric photos above are available at Clinton Modern Creative. Photo by Studio 39 Fabrics. This Wild About You bundle at Studio 39 Fabrics is cute but also sophisticated. I love that they have the coordinating Kona solids in the bundle. If you missed out on the Paper Obsessed line it’s now on Sale at Studio 39 Fabrics. I have quite a few fabrics from this line and they are fun. I liked using them to make notebook covers.